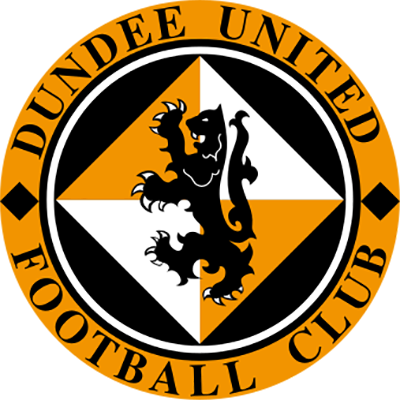 United went into the first Dundee Derby of the season on the back of a good win at Motherwell. 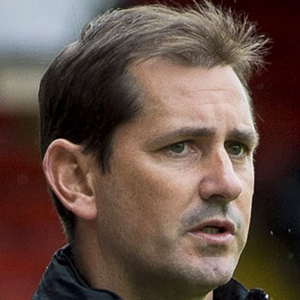 Dundee were also high in confidence after a solid start to their season. Rankin returned for United and there was a starting place for Connolly. Dropping out were Erskine and Telfer. After United had made a bright start with Aidan Connolly in particular looking lively, Dundee went on to make the first real chance when Nick Ross drilled at goal only to be denied by Luis Zwick after the United keeper had originally parried a Paul McGinn shot away. The visitors then held the advantage for the remainder of the half with the Tangerines best chance coming from a Scott Fraser free kick in the 27th minute which was deflected for a corner. The Dark Blues again came close to a goal right on half time when a Greg Stewart half volley was saved well by Zwick before Rory Loy drilled the rebound wide. Shooting down the hill towards their own fans the hosts were a far greater threat after the break and they went on to open the scoring in the 64thminute. Rankin fed the ball into the feet of Blair Spittal who brilliantly shuffled clear of James McPake before planting a top class finish beyond Bain. The celebrations had barely calmed down when the youngster then doubled his and United’s advantage. This time a delightful ball from sub Chris Erskine took out the whole Dundee defence allowing Blair Spittal to slot into the corner leaving Bain with no chance. Spittal then almost grabbed a hat trick as he forced a good save from Bain following a free kick but the lead was reduced in the 81st minute when Greg Stewart curled in superbly from outside the box to leave the result in doubt again. Spittal again came close with 6 minutes left, this time drilling low past the far post. Deep into injury time Murray broke into the box with a great chance to seal it but agonisingly smashed a shot off the underside of the bar before the ball was cleared. With literally 30 seconds left on the clock Harkins broke forward and struck a long range shot which Zwick spilled at the feet of James McPake who scrambled home the most unlikely of equaliser’s right at the death. Welcome to tonight's home fixture versus Dundee. Welcome our visitors who have made the short journey across the street also. 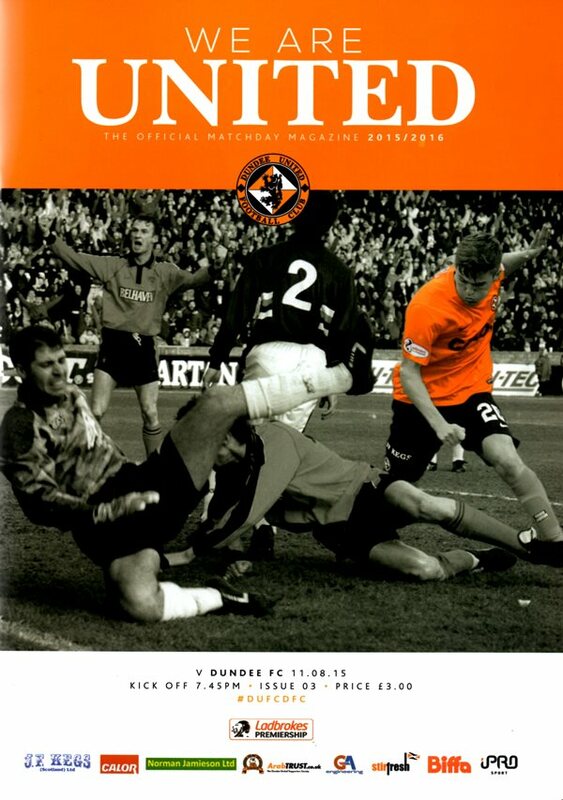 It is a much changed Dundee team from the team we faced last season and for quite a few, this will be their first visit to Tannadice and the atmosphere of the Dundee derby, Form ahead of the game can only tell you so much when it comes to derbies and tonight will be about who wants it the most. Last season we showed great desire in every game against the dark blues - apart from the one defeat, which still agitates me. We simply didn't do ourselves justice that night. I believe that this squad has the potential to take this club to glory but it is important that we show that in each match. 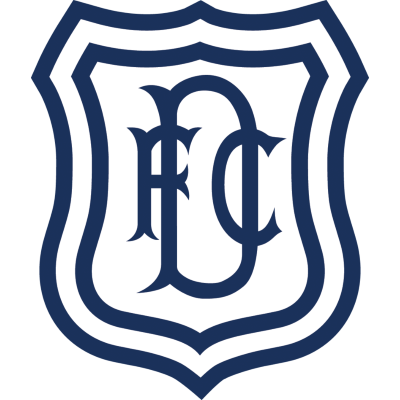 Dundee has received praise for their performance levels at the start of this campaign and will come here determined to make up for losing the lead and the game against Hearts on Saturday. It will be a tough match but everyone at Tannadice knows what it means to win a derby and we shall do our best to secure that for you tonight, After two Ladbrokes Premiership matches, I feel we should have at least one more point and I was chuffed with the performance and result at Motherwell because they looked much improved and look a potential top six team this season. Our fitness levels looked strong against Motherwell and despite it being a team with an average age of 22.4, we looked strong, clever and used our heads well after weathering a right strong start from Motherwell in the first thirty minutes. We will need our fitness levels to be tuned tonight and we have to start the game in the right manner and dictate the pace of it. We used all three substitutes on Saturday and each made an impact on the game. It is always pleasing when changes work but more importantly, each of the substitutes showed me the correct attitude and application. We have the opportunity to have six points from nine from a tough start to the campaign and with the correct attitude tonight we can achieve that. That would be pleasing and I know victory would send all Arabs home happy, Enjoy the game.